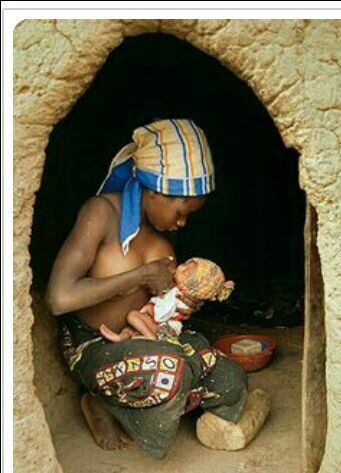 As the world commemorate this year’s breastfeeding week, a non-governmental organization known as Civil Society Scaling Up Nutrition in Nigeria (CS-SUNN) has sent a congratulatory message to Nigerian Central Government and the National Assembly on the inauguration of the Legislative Network for Universal Health Coverage (LNUHC). The ngo also urged the Hiuse to leverage its legislative roles towards achieving the 15% Abuja declaration on Health and the 1% Consolidated Revenue Fund to the National Health Act (2014). The message, which was contained in a statement signed by CS-SUNN’s Communication Officer, Lilian Ajah-mong described the development as improvement on nutrition awareness in the country. The statement read, “as Nigeria joins the rest of the world to mark the 2017 World Breastfeeding Week, the Civil Society-Scaling up Nutrition in Nigeria (CS-SUNN) is urging Government at all levels to prioritize and scale-up the implementation of the National Strategic Plan of Action on Nutrition to address the dire nutrition needs of Nigeria. This year’s theme “Sustaining Breastfeeding Together” is apt and timely as we call on all decision-makers, partners and relevant stakeholders in the health sector to forge purposeful affiliations that will yield improved health interventions for Nigerians and rid Nigeria of the negative health statistics registered at the West African Region as well as globally. According to the NDHS 2013, more than 5 million newborns in Nigeria lack essential nutrients and antibodies that would protect them from diseases and death as they are not being exclusively breastfed. The same report showed that 37% of children under-five years are stunted, 29% are underweight while 18% are wasted. Another report by IFAD 2012, showed that 8.5% of the total population are under-nourished. These negative indices continue to act as a brake on Nigeria’s economic development as globally, stunting is currently an indicator for measuring a country’s development. The Health Sector National Strategic Plan of Action for Nutrition (NSPAN) has a strong exclusive breastfeeding component within its Maternal Nutrition and Infant and Young Child Feeding priority areas. However, in order to attain the 50% exclusive breastfeeding targets set in the Plan by 2018, the goal of sustainable promotion and support for optimal breastfeeding will require priority attention, increased funding as well as monitoring of activities during and post implementation. CS-SUNN urges governments at all levels and relevant Ministries, Departments and Agencies to include a budget line for nutrition in the health and nutrition relevant sector budgets, increase budgetary allocation to health and nutrition while ensuring timely release of allocated funds for immediate programming and implementation of nutrition interventions. Also, CS-SUNN calls on the National Assembly to enact legislations that promote breastfeeding, protect breast-feeding mothers, clamp down on employers of labour who are non-adherents to the 6 months maternity leave for nursing mothers, protect safe medications for mothers and their infants and ensure strong regulations on marketing of breast milk substitutes or baby formulas, So that nursing mothers in Nigeria can be entitled to the constitutional right to breastfeed and newborns the constitutional right to be breastfed anywhere, any day and at all times. The Coalition affirms that all health care practitioners have a key role in influencing child care behaviours and practices of the mothers and child care providers as they are frequently visited by mothers and children for routine care during sickness. We task health care practitioners to scale-up appropriate nutrition counseling on the benefits and management of breastfeeding; early skin-to-skin contact, exclusive breastfeeding, starting to breastfeed soon after delivery, why colostrum is important and appropriate patterns of feeding”, it added.